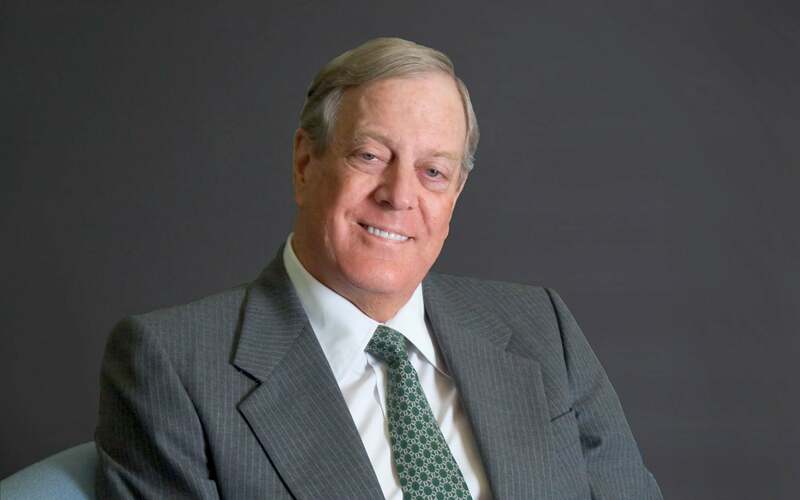 David Koch is co-owner and executive vice president of Koch Industries, the largest privately held company in America. Educated as a chemical engineer at the Massachusetts Institute of Technology, Mr. Koch has applied his business experience leading an international and diverse set of companies to the philanthropic arena, with a particular focus on improving the diagnosis, treatment and prevention of cancer. Mr. Koch has personally pledged and contributed more than $400 million dollars to aa wide variety of organizations and programs which further cancer research, enhance medical centers and support educational institutions, as well as programs that sustain arts and cultural institutions. He sits on over twenty non-profit boards, including Memorial Sloan-Kettering Cancer Center, M.D. Anderson Cancer Center, New York Presbyterian Hospital, Johns Hopkins University, Massachusetts Institute of Technology and The Rockefeller University. Mr. Koch has been personally motivated to focus on cancer research because he, his twin brother and two older brothers are prostate cancer survivors. Since being diagnosed in 1992, Mr. Koch has used his business philosophy of diversification to invest in numerous cancer research projects, certain that at least one of them will lead to a breakthrough. He is dedicated to supporting scientific discovery, funding cancer research facilities at John Hopkins, MIT and Cold Spring Harbor Laboratory. Mr. Koch is the prime contributor to MIT’s planned integrative cancer research center to be named The David H. Koch Institute for Integrative Cancer Research. Mr. Koch has been honored by the Memorial Sloan Kettering Cancer Center for Excellence in Corporate Leadership and the New York Academy of Medicine for his support of biomedical research, healthcare and education. He has received the Corporate Citizenship Award from the Woodrow Wilson International Center for Scholars, the Manhattan Republican Party’s Business Statesman of the Year Award and the Entrepreneurial Leadership Award from the National Foundation for Teaching Entrepreneurship. He also received an honorary Doctor of Humane Letters from Cambridge College. In 2004, Mr. Koch received a presidential appointment to the National Cancer Advisory Board of the National Cancer Institute. Mr. Koch has also been active in the public policy field, serving on the boards of the Cato Institute and The Reason Foundation, organizations focused on applying market-based concepts to enhance peace, prosperity and social progress.